If you’re someone who uses a smartphone, there are high chances that you’re using an Android phone. Not only most of the biggest phone makers like Samsung, HTC, Moto, LG, Sony embracing this operating system but this is also the no.1 mobile platform in the world which constitutes 88% of the market share, as per reports from Strategy Analytics. 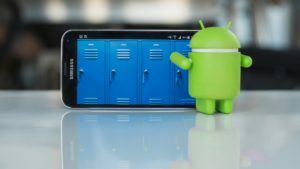 However, with regards to most of the subjects, you are most probably just scratching the surface of what your Android phone is actually capable of. How much do you really think you know about your Android phone? You can definitely make and receive phone calls and send text messages but did you know that there are several other things that you can do with your Android phone? If you aren’t aware of them, take a look at what else you could do with your Android phone. This is though the more commonly known tricks but at the same time it is important for everyone to know about this Android function. Go to Settings and then go to ‘About Phone’. Tap 7 times on the build number of the phone and you will soon get an onscreen message which congratulates you for becoming a developer. For sometime now, you have been able to broadcast the Android phone or the display of the tablet to the television large screen using Chromecast. Besides streaming video from all of your TV apps installed in your phone or movie apps, this device can even start mirroring your phone. When you drag down Quick Settings from the screentop with 2 fingers, you get an option to Cast. For majority of the phones, the latest Android smartphones usually feel too snappy. But once the Nexus FX was launched with just 2GB of RAM, there were too many users who felt deprived due to the heavily popular product from Google. You can go to Settings> developer options and then scroll down in order to find the required options. Isn’t it extremely frustrating when you find a link opening in some app instead of the browser? This link could be of anything, a tweet, YouTube or a Facebook page and once it opens, the phone closes the Chrome browser and shoots something else. Did you know that this can be fixed easily? You just have to go to Settings> Apps and then locate the specific app which continuously opens. Scroll to Open by default and tap on Clear Defaults. If you’re someone who’s using Android 7.0 Nougat, you get an option to run 2 apps simultaneously side by side. This can be of use when you wish to show photos and also use your social networking site or you want to multi-task. Tap the Overview button and select the apps which are used recently and which you wish to see. Hold on to the title bar of the app and drag it to the left of the display. Then choose the second app which can open beside it. If you want to switch between the 2 apps, you have to double-tap rather than single-tap. So, now that you know the hidden ways in which your Android phone works, you must be eager to try out all these features as soon as possible. What are you waiting for? Sit with your phone and follow the steps given above to check out the amazing features.